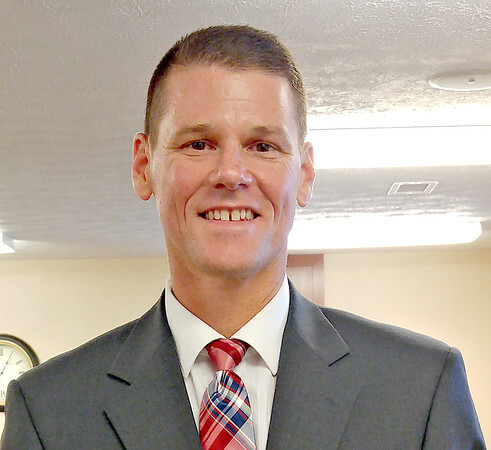 A FAMILIAR FACE: Brent Miller, a 1988 graduate of Western Boone Jr.-Sr. High School, was appointed principal of the school by the Western Boone Community Schools board on Thursday night. Miller had previously worked as a teacher, basketball coach and athletic director at WeBo. Since 2009, he has served as assistant principal and then principal at Clinton Prairie High School. Miller will take over as principal after the promotion of former principal Rob Ramey, who in June was named superintendent of the school corporation. Though Miller plans to go on vacation with his family next week, he said he will likely start work from his laptop.